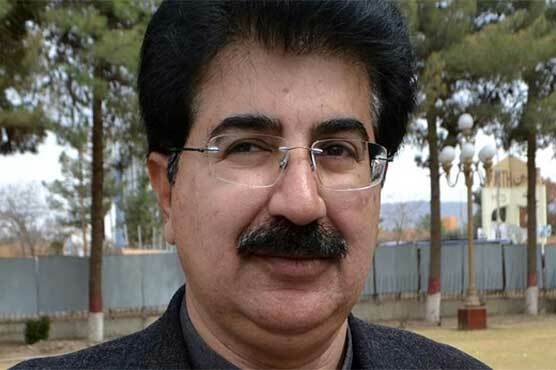 BEIJING: Senate Chairman Muhammad Sadiq Sanjrani has said that the China-Pakistan Economic Corridor (CPEC) has across the board political and institutional support in Pakistan and CPEC projects are progressing smoothly. Talking to Foreign Minister of China Wang Yi in Beijing on Thursday, Sadiq Sanjrani observed that Pakistan hopes that work on New Gwadar International Airport and other social welfare projects will also accelerate with Chinese assistance. During the meeting, both sides agreed that the CPEC had added an economic dimension to the already excellent bilateral strategic relationship between the two countries. The Senate chairman said that Pakistan and China are “iron friends” who have stood the test of time and huge changes and challenges in the region and international arena. Muhammad Sadiq Sanjrani who is visiting China on invitation of Chairman of the Chinese People’s Political Consultative Conference (CPPCC) Mr. Wang Yang and leading a multiparty and multi-region delegation of Senators and businessmen assured Chinese Foreign Minister of continuity of policy and commitment to CPEC and other bilateral cooperation in the wake of change of political leadership in the country. The chairman asked for concerted efforts for the uplift of Gwadar and other areas of Baluchistan on which success of CPEC was dependent. He also urged to undertake socio-economic development projects in Gwadar. The chairman Senate assured of Pakistan’s continued diplomatic support to the legitimate concerns of China and urged China to play an enhanced role in alleviating the sufferings and human rights violations of innocent Kashmiris in Indian occupied areas. Chinese State Councilor and Foreign Minister said that Pakistan’s security, integrity, sovereignty and successful pursuit of socio-economic development of its people remains China’s unequivocal resolve. The Chinese State Councilor and Foreign Minister expressed confidence that all weather strategic partnership between two countries would continue to grow regardless of changes in the regional and international situation. China sees Pakistan as a reliable and close friend, and the relationship with Pakistan will continue to be a priority for China. Complementing Pakistan on the political transition underway, State Councilor said that China looks forward to working closely with Pakistan’s new government to strengthen bilateral cooperation in all areas. Wang Yi stressed the importance of exchanges between the legislative branches of Pakistan and China. As representatives of the peoples of both countries, such interaction between legislators was essential for fostering close people to people ties, which were the foundation of any inter-state relationship. Earlier, the Pakistani delegation headed by Chairman Senate met with Chairman of China Power Construction Company Limited. Senate chairman appreciated the work of the company in Port Qasim power project and expressed hope for more such projects from the company in the power sector of Pakistan. Chairman of the China Power Construction Company assured of the company’s expertise to provide better solutions in power sector infrastructure development. He said that the support of China Power is helping to meet the energy needs of Pakistan and the company is a source of confidence and trust between the two brotherly countries. Members of the delegation include Senators Mrs. Nuzhat Sadiq, Sitara Ayaz, Muhammad Akram, Dilawar Khan, Kauda Babar, Muhammad Azam Khan Swati, Barrister Muhammad Ali Khan Saif, Mirza Muhammad Afridi, Behramand Tangi and Secretary Senate Amjed Pervez Malik.